The Wiarton Keppel International Airport (CYVV) is proudly owned and operated by The Township of Georgian Bluffs. The Airport welcomes commercial and recreational pilots, visitors and business professionals to our facility which is conveniently located just 2 hours north of Toronto on the Bruce Peninsula and Niagara Escarpment. The airport provides a wealth of value to the Grey and Bruce Counties as a regional facility with a 24 hour Human Weather Observer onsite. Located on 820 acres of land, just 2 km outside of Wiarton, Ontario, Canada. We are a Canada Customs Airport of Entry and a Transport Canada Certified facility with services available 365 days per year. The airport has two runways and a joining taxiway system, and a public apron. The primary runway boasts a variety of IFR approaches. The secondary runway has a compact gravel surface. The airport provides both AVGAS and Jet A with additive, aircraft parking areas and hosts a public terminal building with a pilot's lounge, accompanied with private shower, that is available 24 hours per day. The terminal building was dedicated to Eileen Vollick, the first licensed female pilot in Canada. The airport offers a full service restaurant named Cocoa Vanilla. It was established in 2012 to allow their guests to enjoy gourmet food and satisfy their sweet tooth, in a relaxing atmosphere. Patrons might remember the location nestled in the downtown core of Wiarton, but it has since moved to the airport. The new location is currently under renovations and will re-open on June 17, 2017.  The airport is located at #501262 Grey Road 1, east of Wiarton, Ontario. Phone number 519-534-0140.